Our hire stock is continuously growing and allows customers to collect hire equipment from us, or we can deliver and setup for you! We have flexible delivery and collection time slots and a large selection of equipment in stock. If there is something specific you require, don’t fret – we work closely with other local suppliers, which means we can offer a wide variety of equipment options for all occasions. Equipment can be hired anywhere from a 24-hour period up to a number of weeks or months as required. Take a look on the tabs below at just a few of the equipment options we have available. Our Pioneer Pro Audio XPRS Active PA System comprises of a pair of 12” active loudspeakers and punchy twin 15” active subwoofers! Great for gigs, DJ monitors or live events of up to 300 people. We can double up on these systems too! Alternatively, for smaller events or conference environments, we have the dB Technologies LVX range including 8” active loudspeakers and single 12” subwoofers. A single system is more than capable of handling parties of up to around 100 people. A selection of professional audio mixing consoles ranging from the compact and powerful ZED10FX, all the way up to the latest generation of digital mixing consoles – the new SQ5 complete with DX168 digital stage boxes. For live, corporate or theatre the Sennheiser Evolution Wireless G3 range of radio microphones take all applications in their stride with class leading clarity and reliability. We can provide multiple ways of the 300 series G3 systems complete with Handheld, Lapel or Headset Microphone options as Solo Kits or 4-Way Racks. We have a selection of speakers, mixers, microphones, DI boxes, stands and cables in stock for a wide range of live, conference and theatrical requirements. We have a constantly expanding selection of lighting options in stock including LED Wash Fixtures, Intelligent Moving Lights, Sunstrip Blinders, Generic Lighting including Fresnels, Profiles, Pars & Birdies, Lighting Consoles, Trussing & Rigging equipment. We are proud to stock equipment from Prolight Concepts Chauvet ADJ Showtec Selecon Avolites Chamsys and many more. Our LED Uplighting Packages are one of our most popular choices for corporate events & weddings. We have cabled and battery powered wireless options to choose from. 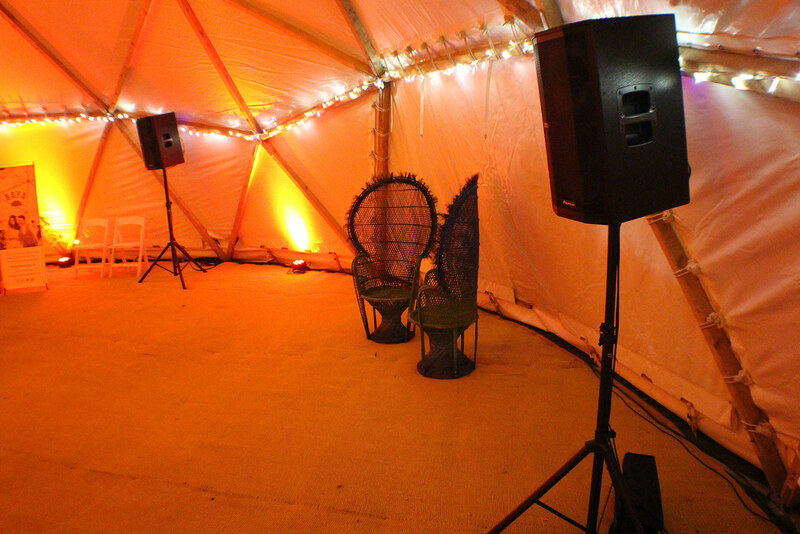 This is a great choice for venues, weddings or event organisers wanting to add atmosphere to their outdoor event. This could involve illuminating the environment, buildings or public thoroughfares with Festoon & Fairy Lighting, LED Colour Washes or Bespoke Gobo’s. Want something to add an additional dimension to your show? We stock a variety of effects including smoke and haze machines, strobes, laser effects & audience blinders. With a number of projector options available for small desktop presentations or large corporate events. We also have projection screens available from tripod through to Fastfold screens of various sizes. These are a great way to display content, slides or images at events or for clients to utilise digital signage and marketing on exhibition stands. We work with other local suppliers to supply LED Video equipment to our clients. LED Video Screens are becoming increasingly popular for large events and can be used indoors or outdoors to playback video content including visual effects, presentations, films or live cameras.